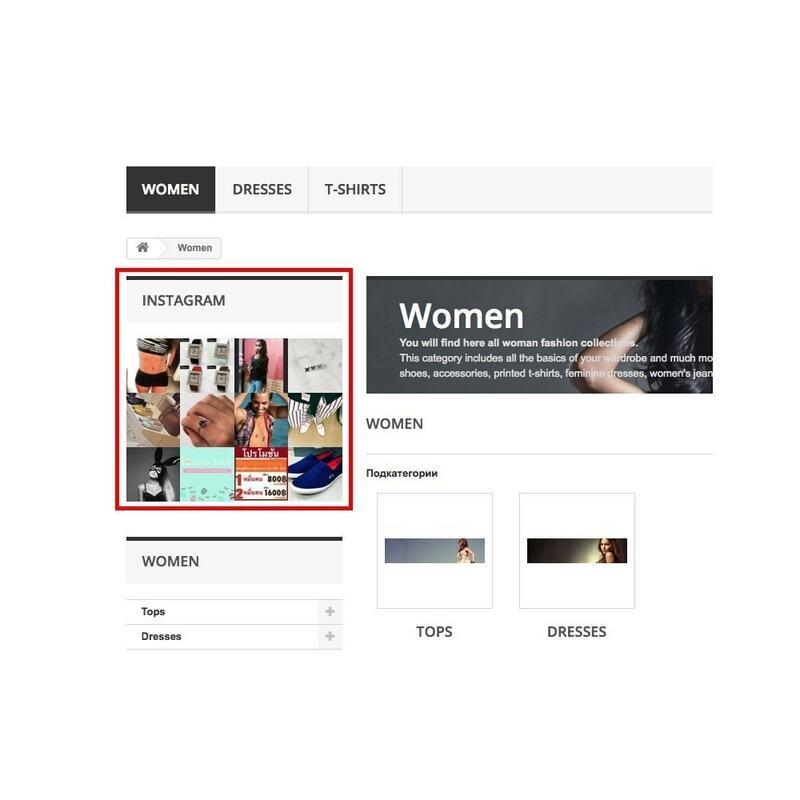 Using our module you can easily display images from your instagram account on your e-shop. This module also displays the images in a customizable way. On your site you can show only your personal images, because Instagram has cut API functionality. Social networking are often used by the owners of online stores to promote and increase sales online. 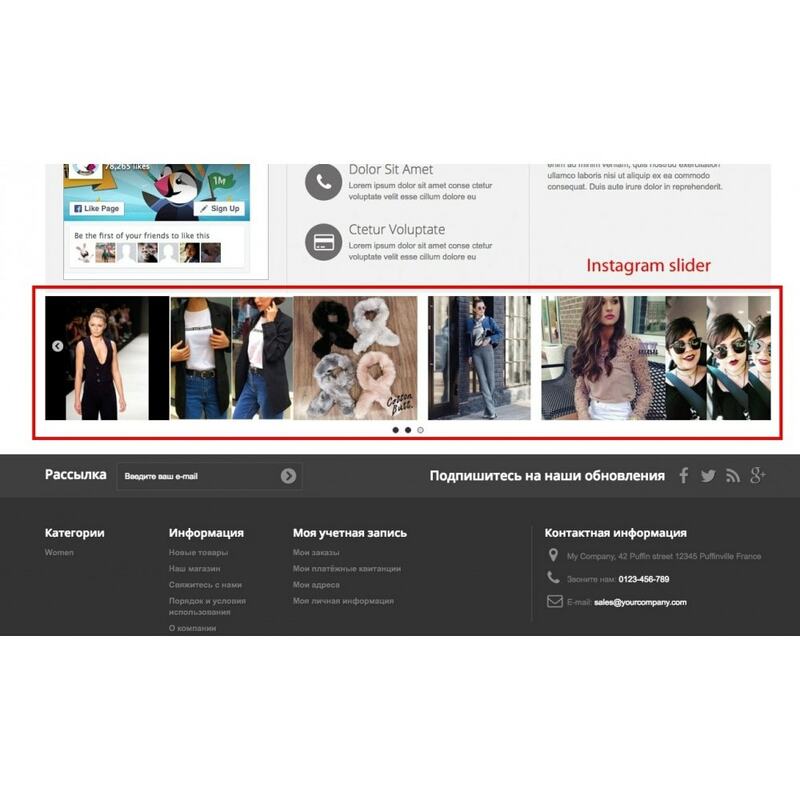 Using the module “Social feed” you can quickly place a photo from your instagram account, to announce new products and to promote them. This can be done by simply taking a picture and upload it to your instagram page and the module will automaticaly load it on your site. This module increases level of website's trust via Seller's Instagram profile. Client can view latest photos uploaded on Instagram by Seller, take a sneak peek to Seller's lifestyle and make a purchase. Nowadays people like spending time in social media, that is why the trust to the shop connected to a social media will increase. Also people usually understand better information via images and video, that is why our module can be indispensable when you want to deliver necessary information to customers and to help him in making the right decision about making purchase. 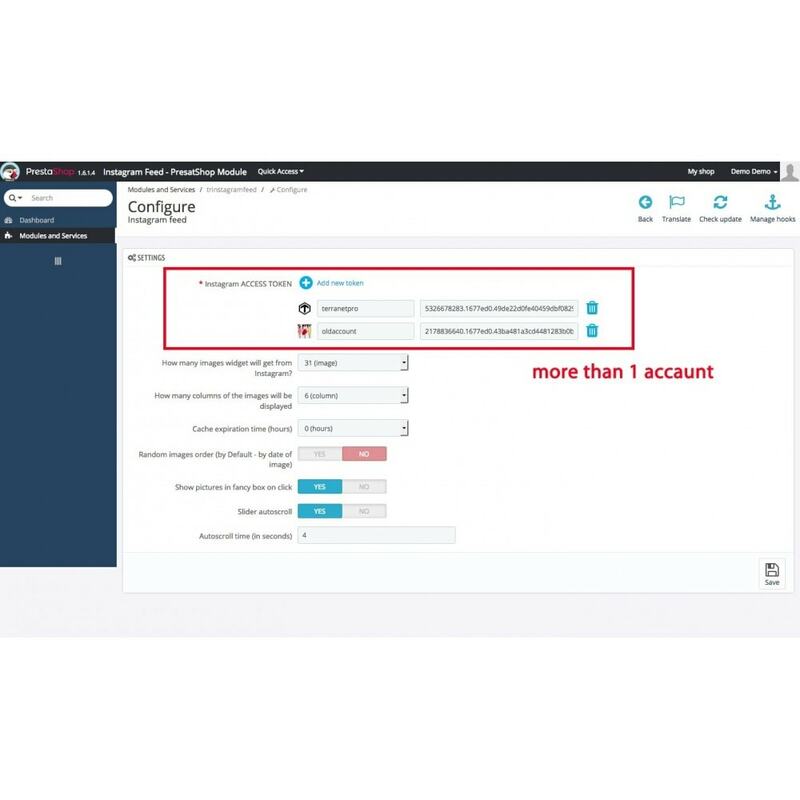 Several Instagram accounts in 1 module. 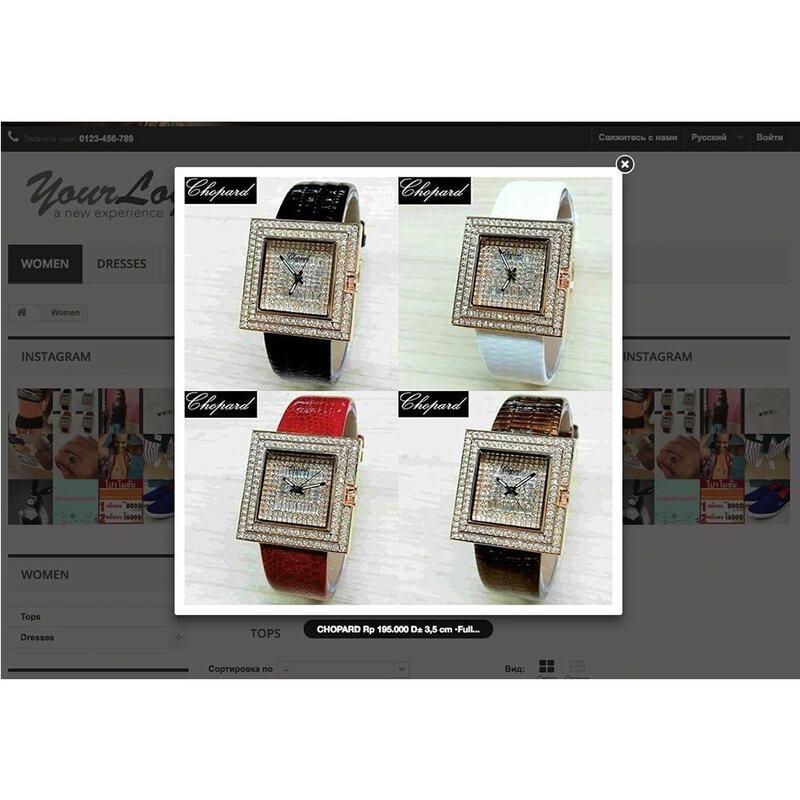 Tailor Theme is specially designed for fashion and accessories store. This theme has a clean and professional look with fully responsive and includes a number of modern & unique features that makes it easy for you to build a stylish website.